Come and learn how to love and heal your body with vegan lifestyle. 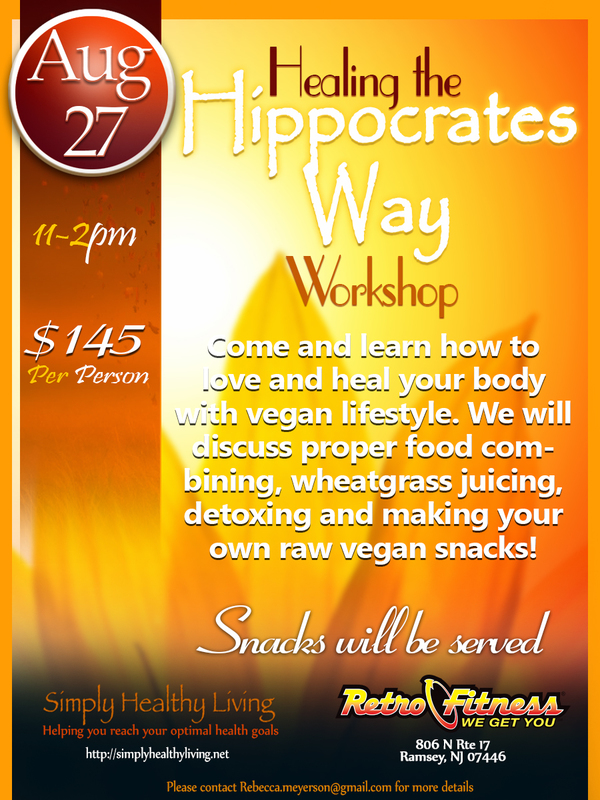 We will discuss proper food combining, wheat grass juicing, detoxing and making your own raw vegan snacks! Click the image below to get your tickets!! Or Click Here!! ← Previous Previous post: How healthy is your gut?